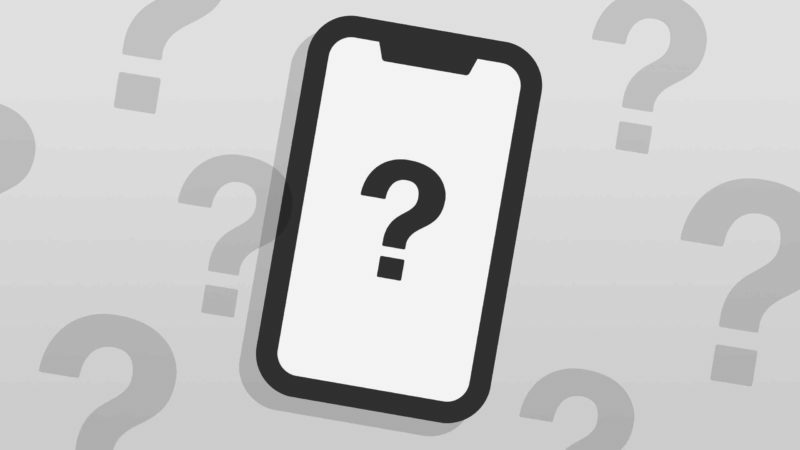 You are at:Home»iPhone»Display»Why Is My iPhone Screen Blank? Here’s The Fix! You were tapping around on your iPhone when suddenly the screen went blank. Whether the screen turned black, white, or a completely different color, you can’t use your iPhone at all! In this article, I’ll explain why your iPhone screen is blank and show you to fix or repair the problem. Why Did My iPhone Screen Go Blank? Many people believe that there’s a hardware issue when their iPhone screen goes blank. However, a lot of the time, iPhone screens turn blank because of a software crash, making the screen appear completely black or white. The steps below will first walk you through two important troubleshooting steps you should take before exploring screen repair options! The first step to take when your iPhone screen is blank is to hard reset your iPhone. If a minor software crash made your display blank, a hard reset should temporarily fix the problem. I want to emphasize that this won’t fix the root cause of the problem — we’ll do that in the next step! iPhone 8, X, and newer models: Press and release the volume up button, press and release the volume down button, then press and hold the side button until the Apple logo flashes onto the screen. iPhone 7 and 7 Plus: Simultaneously press and hold the power button and the volume down button until the Apple logo appears on the center of the screen. iPhone 6s, SE, and earlier: Press and hold the Home button and the power button at the same time until you see the Apple logo appear on the display. If your iPhone has turned back on and the screen looks normal, that’s great! As I mentioned earlier, we still haven’t fixed the real reason why your iPhone display is blank. If your iPhone screen is still blank after you tried hard resetting it, you can still put your iPhone into DFU mode and restore it! Let’s move onto the next step. Deep software problems, like the one that’s probably making your iPhone screen blank, can be nearly impossible to track down. Fortunately, we have the DFU restore, which erases then reloads all of the code on your iPhone. A DFU restore can fix even the deepest iPhone software issues! I recommend backing up your iPhone before putting it in DFU mode so you don’t lose any of your photos, videos, contacts, and other data. When you’re ready, check out our step-by-step guide that’ll show you how to put your iPhone in DFU mode! Water damage or a drop on a hard surface can dislodge or damage your iPhone’s internal components, causing your iPhone screen to go blank. Schedule a Genius bar appointment at your local Apple Store if your iPhone is covered by an AppleCare+ plan. However, you should know that if water damage caused your iPhone screen to go blank, Apple may refuse to repair it because AppleCare+ doesn’t cover liquid damage. I also recommend Puls, a repair company that will send a vetted, experienced technician directly to you. Their repairs are covered by a lifetime warranty and can sometimes be cheaper than Apple! You’re Not Drawing A Blank! You’ve successfully fixed your iPhone and the display isn’t blank anymore! Next time your iPhone screen is blank, you’ll know exactly how to fix the problem. Leave a comment down below if you have any other questions about your iPhone! Previous ArticleMy iPhone Screen Is Flickering! Here’s The Real Fix. Next Article My iPhone Screen Is Blinking! Here’s The Real Fix.